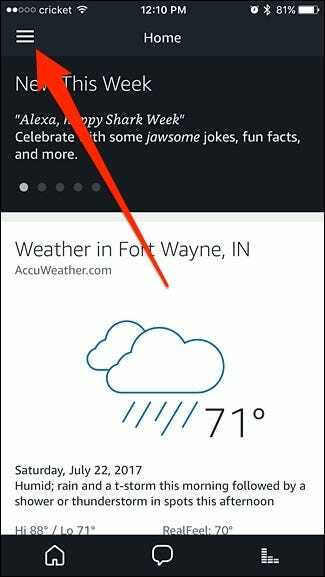 Alexa’s built-in weather forecast is handy for those who just want the basic forecast for the day, but it doesn’t do much more than that. 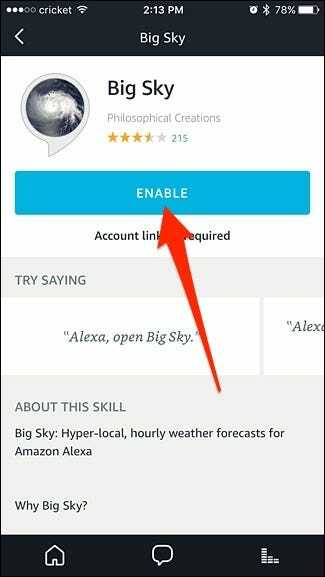 However, with a third party skill called Big Sky, you can make Alexa spit out a ton of information about the weather and ask it nearly anything about what’s coming. The initial setup process is a bit involved, but it’ll smooth sailing once you have everything set up and ready to go. 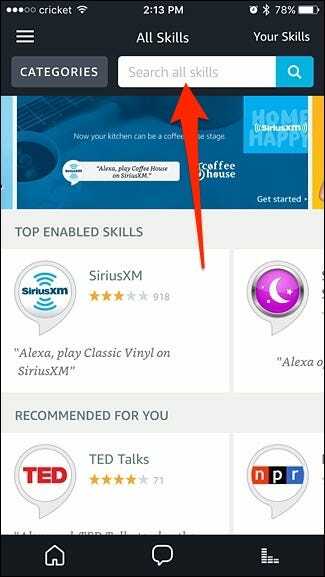 Open the Alexa app and tap on the menu button in the top-left corner of the screen. 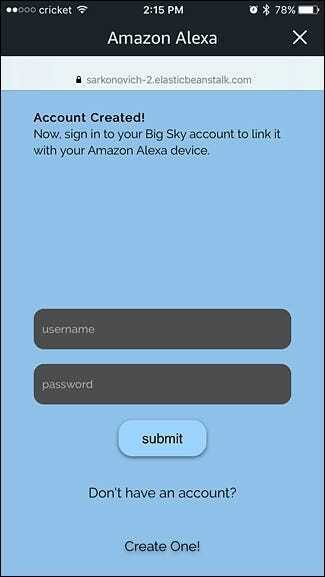 Tap on the search bar at the top and type in “Big Sky”. You might get multiple results, but the one at the top will be the one you want. Tap on it to open it up for more details. 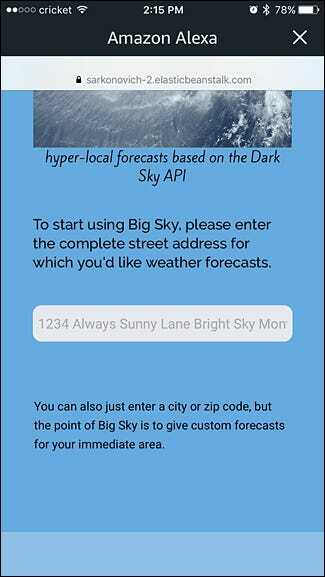 A web browser will open up and take you to the Blue Sky website, where you’ll need to create an account real quick and enter in some details to get the weather. So start by scrolling down and tapping “Create One!”. 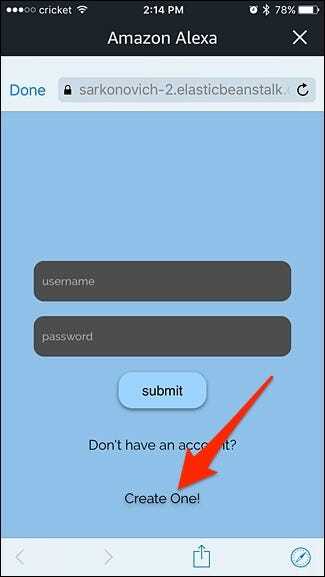 Enter in a username and password of your choice and hit “Submit”. 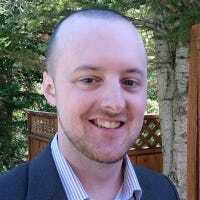 Once your account has been created, log in with your new credentials. 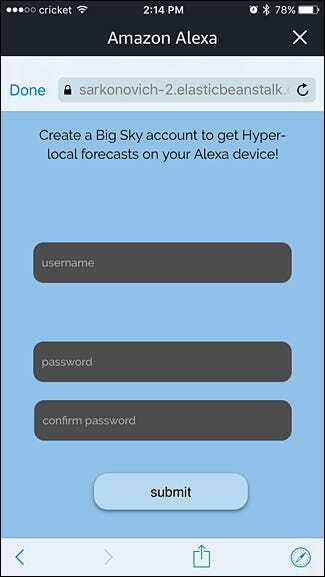 Next, enter in your address to get hyper-local weather forecasts. You can also just enter in your zip code or even your city, but the more specific you are, the more accurate your weather reports will be for your location. Scroll down when you’re done. 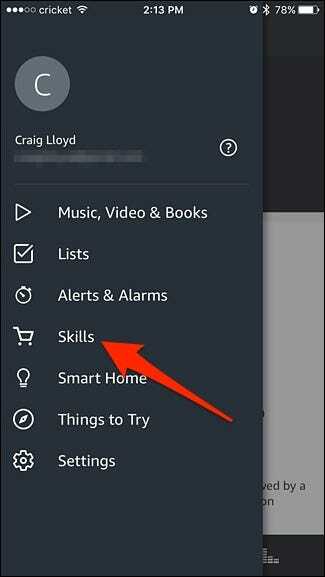 Now, choose either “Basics” or “Detailed” when it comes to how much info you’re immediately given when you first open Big Sky. Scroll down when you’re done. 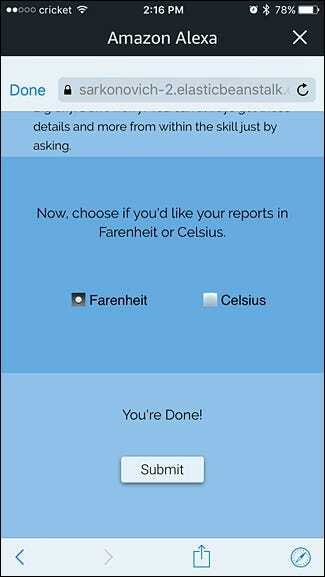 Lastly, choose either “Farenheit” or “Celsius” and then tap on Submit at the bottom. 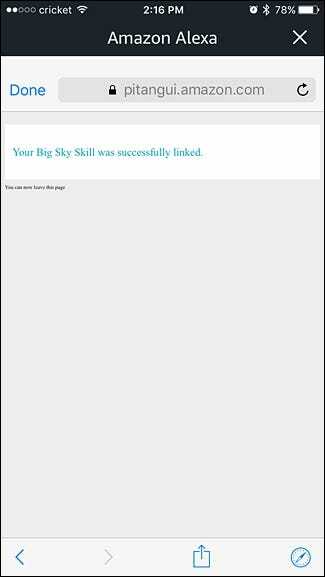 On the next screen, it will say that Big Sky has been successfully linked. At that point, you’re ready to go! Tap on “Done” or hit the “X” button in the top-right corner to close out the web browser. 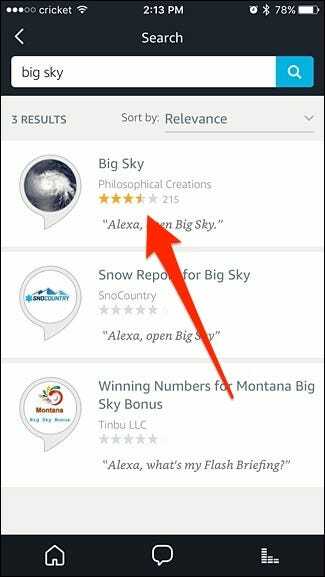 You can also just say “Alexa, open Big Sky” and it will immediately provide a handful of information about today’s weather, and the amount of info it provides during this is dependent on whether you chose “Basic” or “Detailed” during the setup process. 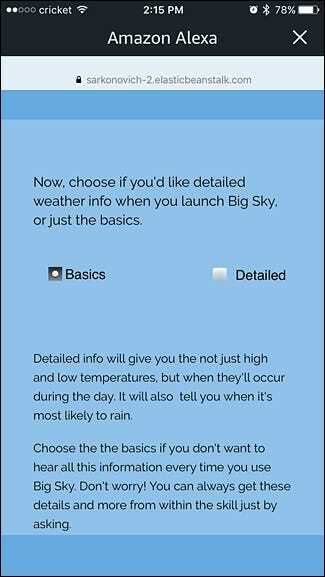 Don’t worry if you chose “Basic”—Big Sky will also just ask you if you want to hear more details after it goes through the basic forecast.